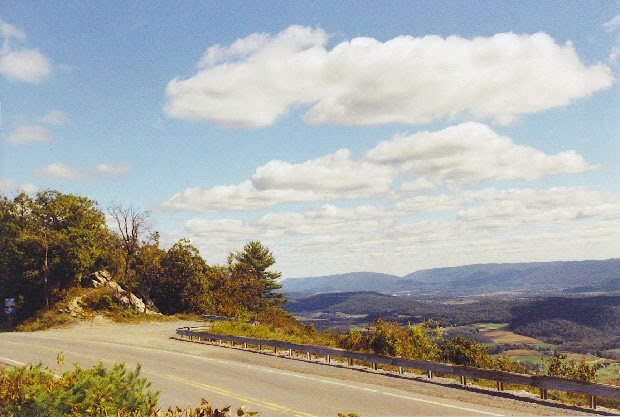 Located in Mifflin County, Pennsylvania at the summit of Jacks Mountain Road. Best time of year to visit Jacks' is between September 13 and October 31. We get higher counts of raptors on S/E winds. But we also get hand-gliders on S/E winds and it is best to arrive before noon on those days as the parking lots fill quickly. 10am to 2pm is usually the best time for raptors on Jacks Mountain. There is not a daily watch during the spring. However spring weekends are sometimes covered. Spring hawkwatching on Jacks' Mountain can be very good during periods of S/E winds. During periods of sunny N/W wind days spring is usually pretty slow, with few migrants. WE NOW HAVE A COMMERATIVE PATCH FOR SALE !!! Ronald Singer, 16062 Hill Valley Road, Mount Union, Pa. 17066. There is a bigger picture in the gallery.